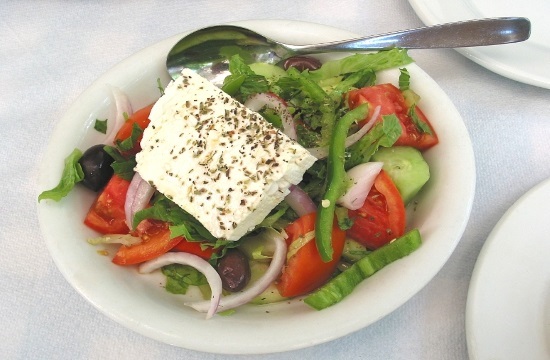 ATHENS – Getting back to a traditional Mediterranean diet featuring olive oil, fruit, nuts and vegetables can reduce the chances of Greeks getting Alzehimer’s by as much as 40 percent, with dementia cases on a course to triple over the next year 30 years. That assessment came from neurology professor Alexandros Papadimitriou, who spoke at a seminarat the Institute of Public Health of the American College of Greece, said Kathimerini. Some 160,000 people in Greece now are affected by Alzheimer’s Disease with cases seem climbing to 340,000 in 2030 and 560,000 in 2050. Papadimitriou said the well-known benefits of a diet that Greeks used to eat before many switching to fast-foods, combined with exercise, could bring hope and reduce the devastating effects of that form of dementia. So far, the disease hits about 1 percent of the 65-69 age group, rising to 23 percent for those 85-89 and 59 percent of those above 95 years old, significantly impairing the ability to remember, even their families.